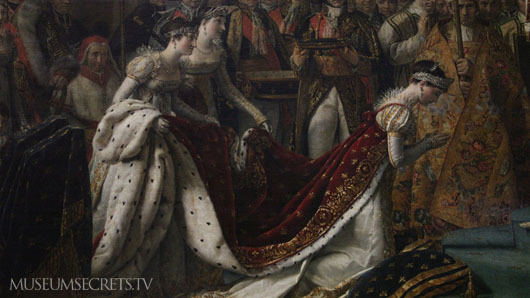 What lies are told by The Coronation of Napoleon? And why did Napoleon want to tell them? 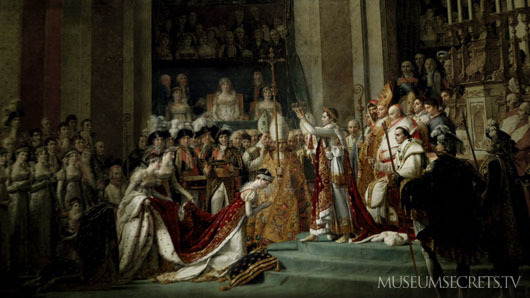 Political spin doctors and Photoshop touch-up artists could learn a lot from the painting Napoleon commissioned to commemorate his coronation. 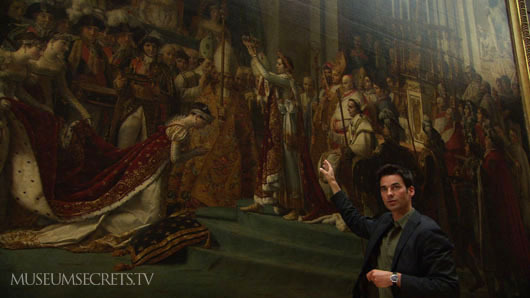 The enormous canvas, painted by Jacques-Louis David, records a turning point in French history. And it is full of lies. Which powerful people are depicted honestly? And which are shown in poses that spin political advantage for Emperor Napoleon? The answers are known to the Emperor Napoleon's great-great-grandnephew: Charles Napoleon. 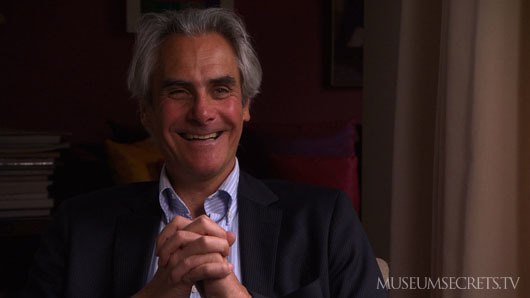 He reveals the secrets in Museum Secrets: Inside The Louvre. 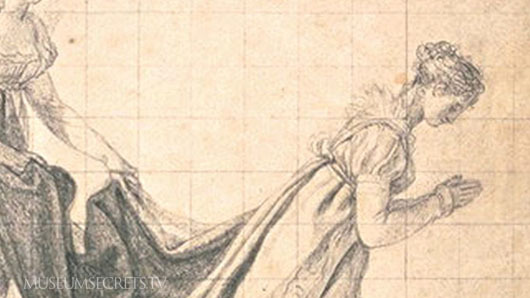 To see through his lies right now, we invite you to watch our Web Exclusive video: Napoleon Painting or, for closeup views, visit our Interactive Feature: Napoleon's Propaganda. Is there other historical evidence of Napoleon as a spin-doctor? Indeed there is. Napoleon ordered the wide distribution of "bulletins" written under his supervision (if not by his own hand). These bulletins supported his efforts using techniques familiar to modern viewers of cable TV news: character assassination, puff pieces lauding brave soldiers, and "Mission Accomplished" moments. You'll find many examples on a web site called The Napoleon Series. Why not just enjoy the what the canvas depicts rather than dissect it,let there be a french rather than Engligh read biased commentary! But in the film portion, is it not someone French narrating? We can enjoy the painting, yes, but can we not appreciate the power of propaganda?